Mastering the Human Domain. Dave Hodges unravels what that means on today’s show. Dave Hodges, of The Common Sense Show, helped to co-host The Liberty Brothers Show. We discussed in depth the imminent financial collapse, the distraction of ISIS here on US soil, the civil unrest that we are already seeing this year and the implementation of Martial law including the Red and Blue Lists. 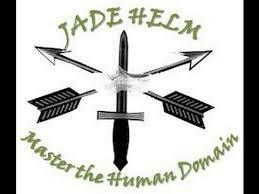 All of this ties into the key stone of Jade Helm 15. We pray we are wrong on this, but everyday more of the puzzle pieces seem to fall into place, painting a very dark future for our children. This is a can’t miss interview with Dave Hodges and the Liberty Brothers.